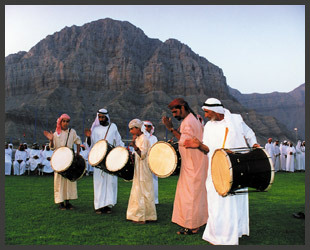 Welcome to Ras Al Khaimah, a haven of peace where age-old traditions and modern life co-exist in harmony. 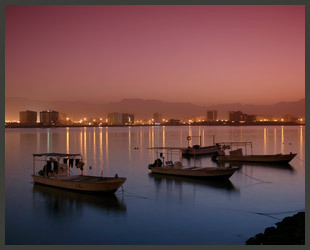 My vision is to make Ras Al Khaimah realize its tremendous and hidden potential. I want to build a diverse economy that enjoys strong, sustainable growth through attracting investments to create wealth and raise the standards of living for all the people of Ras Al Khaimah. I want to create a bright future for our young men and women by making available to them the best possible standard of education, by developing the community services and by providing a modern infrastructure in an environment that is secure, safe and family orientated. 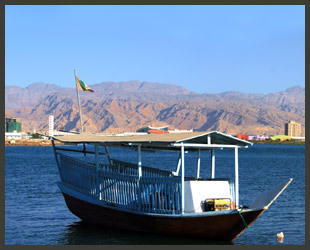 Ras Al Khaimah is a rich and rugged land, with beautiful and dramatic mountains, red sandy deserts and lush green plains indented by a series of creeks and lagoons. 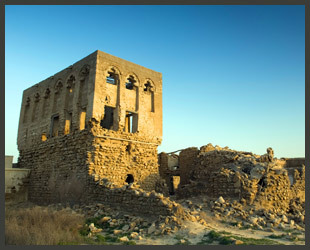 It has a rich heritage which manifests in numerous historical sites, forts and abandoned villages. Recent excavations reveal a history dating back to 5'000 BC. 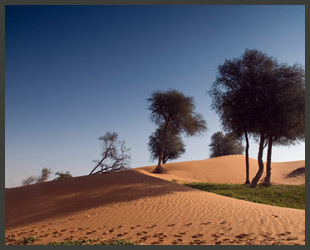 All these natural resources inspire us to focus on tourism and especially eco-tourism in our Emirate. The main goal for Ras Al Khaimah Tourism is to help you to discover the richness of our Emirate, therefore we welcome your feedback on your experience during your stay. 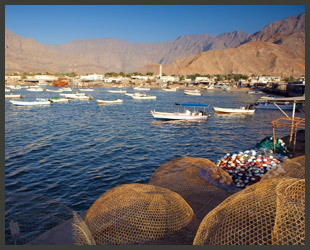 Enjoy your visit to Ras Al Khaimah and take time to discover the richness of our beloved country. RAK Tourism is looking to develop its tourism strategy around the concept of nature tourism to include outdoor soft adventure sports, plus other eco and nature based activities suitable to Ras Al Khaimah, which visitors can enjoy year round while in RAK. 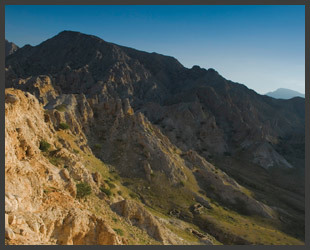 RAK Tourism feels that nature tourism is the travel through and enjoyment of the natural world, its seasonal cycles and events, carried out in a manner that promotes the protection of the natural and local communities, and with consideration for the local history and heritage of Ras Al Khaimah. 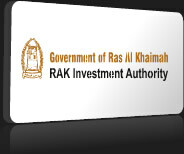 RAK Tourism aims to work to develop the tourist experience for visitors and investors by working market by market to raise the awareness of Ras Al Khaimah as a tourism destination, and a tourism business investment environment for potential investors. 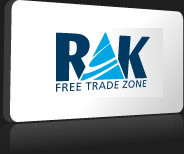 RAK Tourism aims to forge strong relationships with key local and regional tourism industry stakeholders in order to support, regulate and standardise these tourism initiatives. 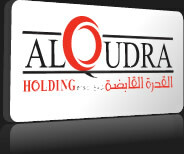 This includes working with local DMC’s, tour operators, hoteliers, RAK Airways and other tourism partners. 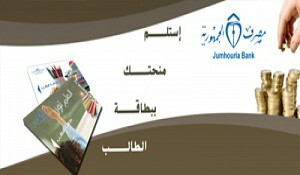 To work with Other Key Government Departments to realize the vision of H.H. 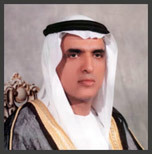 Sheikh Saud Bin Saqr Al Qasimi in developing RAK as a diverse economy that enjoys strong, sustainable growth through attracting tourism and real estate investments. 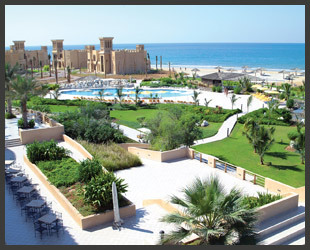 Al Hamra Fort Hotel ***** is crowned by a natural lagoon. 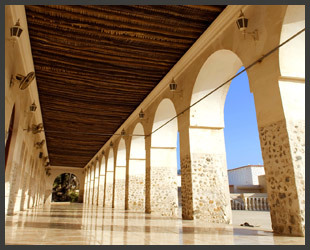 Designed as an Arabian Fort, the resort consists of 83 guest rooms with spacious balconies in the main palace and 168 Arabesque villa rooms built in the style of a traditional village. 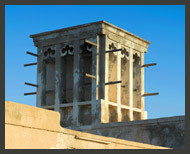 The wind towers, sand-inspired colors and the tasteful arabesque interior designs create a genuinely exotic atmosphere. All rooms are very spacious, offering European standards of comfort and a private terrace- perfect for enjoying stunning beach views. 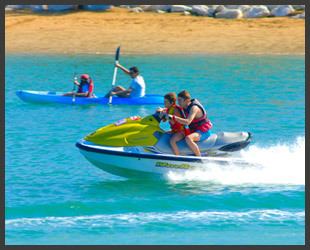 There is also a wide selection of water sports and desert adventures available on site, which includes sailing activities, boat trips, jet ski-ing, water ski-ing, diving, and many more. 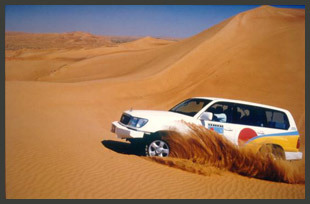 Desert Safari’s with or without dinner, dune bashing and quad biking are also organised by the hotel. 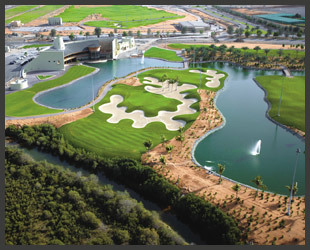 The UAE boasts a number of superior golf courses which historically centred a round Dubai and Abu Dhabi. 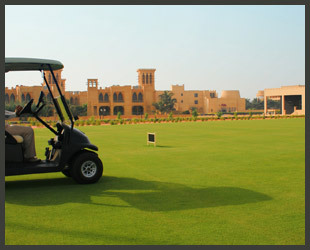 But now Ras Al Khaimah also offers a choice of golfing experiences which are a little different from the ones you’ve played on before but equally as good. The key to each course is its individual topography which of course makes all courses unique. The way that any one course will or can be laid out is determined by the variations in elevations of the site, the nature of the ground and then where the club house might be located or the access roads. It is incredible to think that it wasn’t really until the early 1980s that golf was promoted to a wider audience in the UAE. And, a little over 22 years later the region boasts some of the best golf courses in the world. RAK Water Skiing Club is located in a lagoon behind the RAK Hotel & Resort and offers instruction for all levels including slalom and jumping. 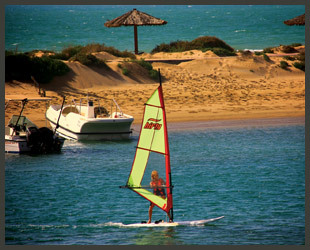 RAK Sailing Association in Al Maarid has a private beach set within a harbour with boats and windsurfers for use by members and guests. 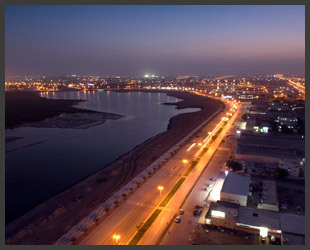 The creek behind Manar Mall is also a destination for water sports enthusiasts. Tour operators and hotels also organize fishing and diving trips. 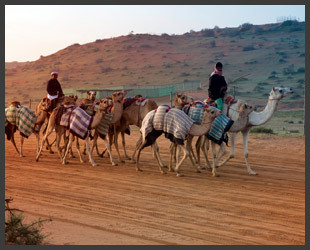 RAK has one of the best camel racetracks in the country at Digdaga, situated on a plain between the dunes and the mountains. Races are held in the winter at the weekends usually on Thursday afternoon and early on Friday morning. A trip to the races is a memorable and lively experience and allows visitors to see a truly traditional sport. Round off the visit with a look at the stalls selling sticks, muzzles, rugs, harnesses and other paraphernalia. Have a safari trip in a 4x4 and enjoy the wonders of the sand. The trip starts with an exciting Dune Drive, with several photo stops of the amazing views while on your way to the Camel Farm. The drive continues across the desert to catch the wonders and colours of the setting evening sun. The trip ends at the desert camp site where visitors can relax and enjoy dinner under the stars. Ras Al Khaimah, with its truly stunning landscape has plenty to offer for nature enthusiasts - areas of great scenic beauty, yet un-crowded and unpolluted. 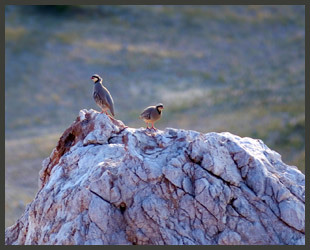 Visitors can choose between mountain activities such as hiking and climbing to bird watching and diving along the coast. The existing mountain and desert treks respect the environment and local communities; we request that visitors to these areas do the same. Visitors can explore the abandoned villages hidden along rocky trails, roam around the barren fields that once cultivated enough produce for entire communities, they can also climb peaks above which sharp-eyed buzzards still glide, quietly stalking their prey below. Local knowledge is required as many of these areas are still remote and un-mapped. In addition, some of these ‘abandoned villages’ are in fact fondly cared for by a member of the community that once lived there and recently relocated to a newer village at the foot of the mountains. 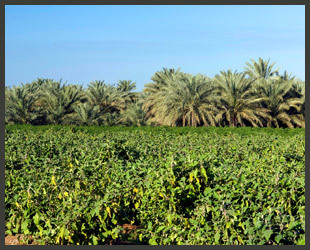 One of the best ways to see these remoter areas is with the help of a local tour operator who specializes in eco and nature based tourism across the northern Emirates.